You can't argue that Cambridge, MA, as home to Harvard and MIT, is one of the world's most important centers for education and learning. One word you probably wouldn't associate with the city, which sits just down the Charles River from its larger cousin Boston, is "strange." Well, until you set eyes upon the Stata Center, in which case "strange" might be too soft a word to use. As you traipse through the MIT Campus, it's difficult to deny the charm of the buildings you pass, the impeccability of the landscaping or the incredibly intelligent conversations you eavesdrop upon. Once you happen upon the Stata Center, however, your jaw may drop open: To say this place, designed by renowned Canadian architect Frank Gehry, is unlike anywhere else on the MIT campus is an understatement. Indeed, it may be unlike anywhere else in the country or even the world. Frankly, the Stata Center looks like it might collapse in on itself thanks to the harsh, seemingly unnatural angles at which its sections meet, from walls, to ceilings, to columns. This says nothing of the eclectic façade of the building, which pairs bold paint hues with brick and brushed metal accents, or the fact that no two parts of the Stata Center are alike – there's no floor plan, to speak of. The Stata Center is an assault on the senses, although it's up to you decide whether that's a good thing or not. What is the Function of Stata Center? The Stata Center is more than just an architectural marvel – it houses different MIT departments, their researchers, their laboratories and their classrooms. And its design is more than just a device to provoke: Franky Gehry's primary mission in building it was to facilities meetings and interaction among MIT's different departments, in order to catalyze the intellectual synergy that has propelled the institution to its leading status. Although the majority of scientists and students who work and study in the Stata Center come from the Artificial Intelligent and Computer Science disciplines, the building facilitates conversations and collaborations across many discliplines, which also include philosophy, linguistics and genetics. Even within departments, research at the Stata Center is based around groups, rather than individuals, a fact that owes to its "fractal" design sensibility. 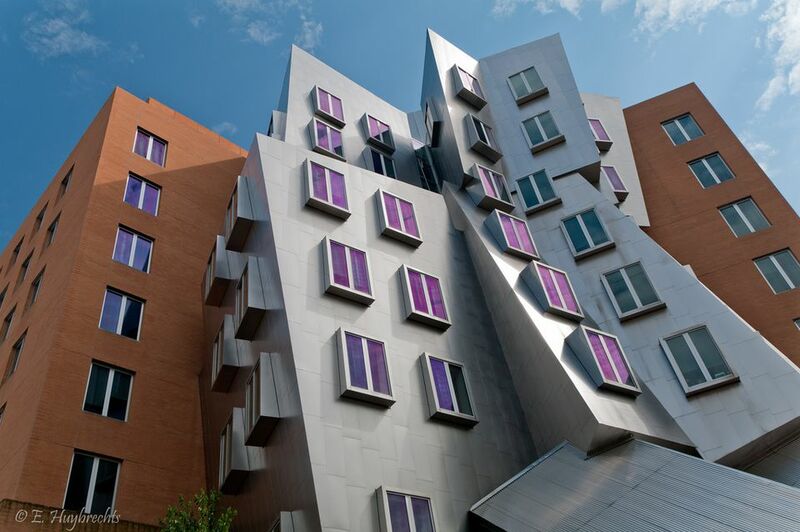 The Stata Center is in the heart of the MIT campus, not far from most hotels in Cambridge, which means that you can easily marvel it from the outside as you walk through the MIT campus. If you want to go inside the Stata Center, however, the best option is to book a student-led tour, which ensures that you don't accidentally wander someplace you shouldn't and disrupt MIT scientists as they do their important work. To learn more about scheduling a tour of the MIT campus, call 617-253-4795 from Monday-Friday and speak to an operator. Or, if you're already on campus, stop by the lobby of the university's Building 7, which is where the tours depart from, and speak to one of the student tour guides who's waiting in the lobby. Is This the World's Clearest Lake? How Can You Save Money at the World of Coca-Cola in Atlanta? Top 10 Hiking Trails From a Guide Who Has Worn out 12 Pairs of Boots.